West Chicago Elementary School District 33 (WCESD33) serves more than 4,000 students in West Chicago, a family-friendly Chicago suburb with a large Spanish-speaking population. Marjory Lewe-Brady, Director of Partnerships for the district, says a significant portion of the student population lives in poverty, 1 which comes with a set of risk factors that can affect school performance. To counter those risk factors, she’s working with district partners to provide essential support services, such as mental health care, afterschool programming, parent literacy, and even a school-based food pantry. “We use a community school model. It’s marvelous, and we’re slowly working on proving the effectiveness of it,” she says. Together, district partners are creating a shared vision of student success, which encompasses social-emotional development and aims to close achievement gaps. 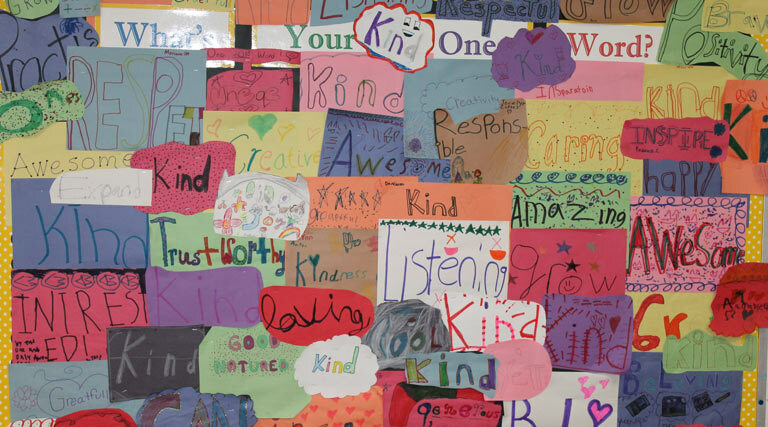 This year, for the first time, every elementary in the district is dedicating a class to social-emotional learning (SEL) and health. Each building hired an SEL/Health specialist, Lewe-Brady says, to foster critical competencies that contribute to healthy habits and relationships, such as self and social awareness, self-management, and responsible decision-making. Schools in Illinois are required to meet certain SEL and health standards, but there hasn’t historically been any uniformity to how those subjects are taught. When the teacher union approached district leaders more than a year ago with a plea for more planning and professional learning and development time, Lewe-Brady says they saw an opportunity to meet teacher needs and improve the quality and consistency of SEL and health instruction. As students gain social-emotional skills and learn how to improve their overall well-being, Lewe-Brady says the district expects to see academic gains, as well. For now, no particular curriculum has been mandated, but Second Step SEL has been endorsed for use across the district to teach SEL. Indian Knoll Elementary School is one of the schools using Second Step. They’ve creatively combined Second Step skills instruction with growth-mindset elements and SEL-themed schoolwide meetings. “As educators, we have to understand how to address the social-emotional needs of our students in order to reach them academically,” says Jen Tapia, the school’s principal. “We have refugees here at this school, and students who have had very traumatic past experiences.” She explains that formal exposure to SEL is helping her staff better comprehend the district’s recent adoption of a trauma-sensitive Multi-Tiered System of Support (MTSS). Tapia says her school improvement team met in the summer to go through the Second Step curriculum kits and plan how best to combine and roll-out key SEL and growth-mindset concepts. They decided to have a monthly growth-mindset mantra and a weekly Second Step lesson, taught to each class and mapped out sequentially by the SEL instructor. The teachers would then reinforce the themes throughout the week with extension activities. Once a week, the principal and assistant principal would lead a schoolwide assembly to highlight key themes, one for the upper grades and another for the lower grades. They would inform and engage families through the school newsletter and Second Step materials such as the family letters and Home Link activities. “The most important thing for us is that it’s not just another thing we’re doing,” emphasizes Tapia. “SEL is embedded into what we’re doing throughout the day. It’s not something we want to be seen as an extra. It’s just how we do biz. It’s how we work; it’s how we think about our kids,” she says. It’s Tapia’s second year as principal at Indian Knoll, and she says this initiative is helping her school create a safer, more supportive environment, where students and staff are learning social-emotional skills that improve behavior and academic readiness. To gauge how well Indian Knoll’s schoolwide efforts are working, Tapia says they’re using the summative assessments included in Second Step. They did a short assessment at the beginning of the year to gather baseline data about what kids already knew; they completed a mid-point check-in to see how students were progressing, and at the end of the year, they’ll assess what was learned. “You can definitely tell the kids are growing,” says Tapia. In addition to teachers reporting immediate results, such as an increase in positive behavior, she says the assessments have shown demonstrable improvement. “At the beginning of the year, they didn’t have a lot of background knowledge of social-emotional skills. For example, one of the second graders only knew the answer to two of 10 questions asked, or 20 percent, and now knows 100 percent of what was taught.” In addition to student assessments and staff surveys, Tapia says she plans to gather additional feedback via student and parent surveys. At the district level, Lewe-Brady says their success criteria includes metrics such as attendance, discipline records, office referrals, and academic improvement. “Because we’re a low-income district, and our kids are below grade level, all of our efforts have to close the achievement gap and promote growth,” says Lewe-Brady. The district has baseline data and is gathering data for a number of indicators, but she says they struggle with the age-old question: “What’s making a difference,” because all the factors they look at contribute to the long-term success of students in her community. Lewe-Brady serves as a link between the school district and broader community partners and is in a position to serve as a trusted advisor. She’s helped to coordinate community-wide trainings in the past and will continue to do so in order to align communication and understanding of social-emotional learning and its role in student outcomes. Education requires collaboration and support from many people and organizations, she explains, and when everyone works together toward the same goals, they have a better chance for success. Are you interested in planning a district-wide SEL initiative? Read this blog post for 10 things you can do now to get started. Learn how other districts around the nation are using Second Step to create a common SEL language, empower educators and create successful learners. Register for one of our on-demand or live webinars designed to help you make a smart investment in SEL. Check out this SEL Financial Planning Tool.